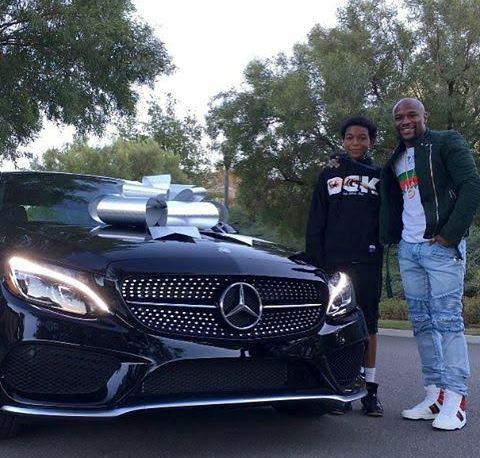 The American professional boxer Floyd Mayweather, who is said to have an estimated net worth of $650 million gifted his 16-year-old son, Koraun, with a brand new Mercedes CLS for his birthday. The car is said to be worth around £30,000. Mayweather shared the photo on Instagram.